Nursing homes are required to comply with laws regarding safety inspections. Failing to do so can put patients at severe risk of harm. Many fires, such as those from smoking or candles, can be avoided by ensuring that patients are properly monitored at all times and that sufficient protocol has been put into place to make allowing those activities as safe as possible for all residents. We expect nursing homes to be safe facilities that protect our loved ones and provide the care they need to maintain a standard of living that will keep them as healthy and happy as can be. However, nursing homes can often be the site of dangerous activities and accidents that can cause severe injury and death because of the nursing home’s failure to adequately monitor patients. When a nursing home fails to appropriately monitor patients, several injuries related to burns and scalding can occur. Unfortunately, many nursing homes are housed in older buildings that may have been repurposed to be a nursing home facility. These types of structures may not have adequate fire safety measures, including sprinkler systems to put out fires before they cause serious harm or damage. In fact, each year between 2012 and 2014 saw an average of 2,700 nursing home fires according to the United States Fire Administration. Nursing home fires also have a higher probability of causing injury, likely because it is more difficult for many elderly patients to evacuate a nursing home facility in case of fire – especially patients that require nursing home staff to help them in the evacuation process. Flammable medical supplies: Nursing home facilities usually have many flammable medical supplies on site that can compound fire dangers, like pressurized oxygen tanks or electrical equipment used for patient care. There are several reasons why fires can be more dangerous for senior citizens, including hearing loss that impedes the ability to hear fire alarms and lack of mobility that may hinder efforts to get away from a fire. Patients can also suffer severe burns or other side effects of fire, like smoke inhalation. Scalding can occur because of nursing home negligence in a number of circumstances. 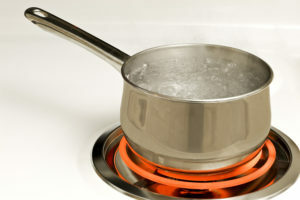 A patient can be scalded by water that is too hot, whether being used for bathing or for food preparation. A patient might also receive severe scalds and burns from heating equipment like radiators or a hot water tank if the patient accidentally finds him or herself in a restricted area or such equipment is not properly secured from patient access. Some nursing home facilities also allow patients to cook, which can lead to severe burns and scalds if a patient is not properly monitored. When Might a Nursing Home be Liable for Injuries Related to Burns or Scalding? Nursing homes are required to comply with laws regarding safety inspections. Failing to do so can put patients at severe risk of harm. Many fires, such as those from smoking or candles, can be avoided by ensuring that patients are properly monitored at all times and that sufficient protocol has been put into place to make allowing those activities as safe as possible for all residents. Additionally, nursing home staff should be monitoring patients and their medical equipment to ensure that such equipment is functioning properly and does not pose a risk of harm to the patient or others in the facility. If your loved one has been injured by a nursing home burn or from scalding in a nursing home facility, an investigation may help determine whether or not a nursing home is liable for the harm that resulted. To work with an experienced personal injury attorney and begin investigating these potentially serious and even fatal injuries, contact our law firm today to schedule your free consultation.